﻿ The Doll Museum at the Old Rectory - Ohio. Find It Here. Open Tuesday  Friday: 1 to 4 pm, Saturdays 10 am to 2 pmAdmission is $2.00 for a self guided tour. Group tours/special group tours for Girl Scouts or children, $3/person. Tours can be scheduled for weekdays or the weekend. 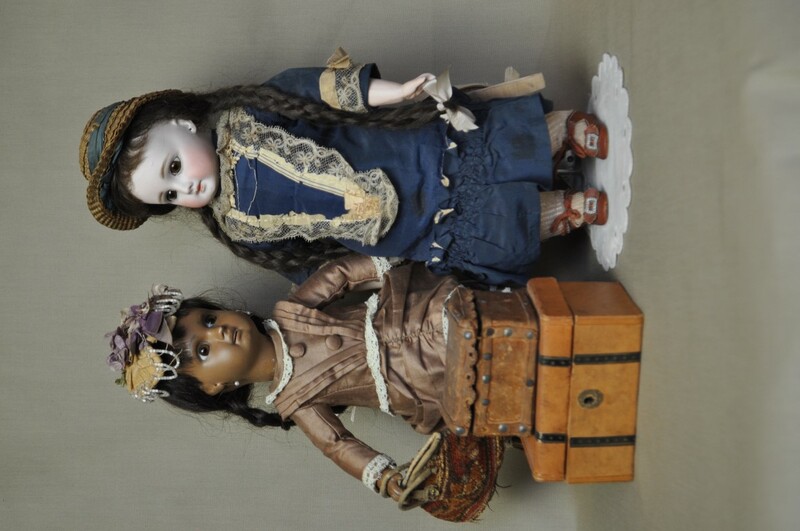 The museum features a distinguished collection of 19th and 20th century dolls including Parian bisques, French fashion models, Milliners models, French bebes, Portrait dolls, American dolls including a Joel Ellis doll and an Izannah Walker doll. We also have dolls as small as 1 tall, dolls made with rubber, wood, wax and even a doll made from a wishbone.A special display case holds the Japanese Hina Matsuri, including the emperor, empress and their court. It was presented to the City of Worthington by its sister city Sayama, (Japan), a town renowned for doll making.The Doll Museum also features rotating exhibits.